After an auto accident, you likely have many questions. 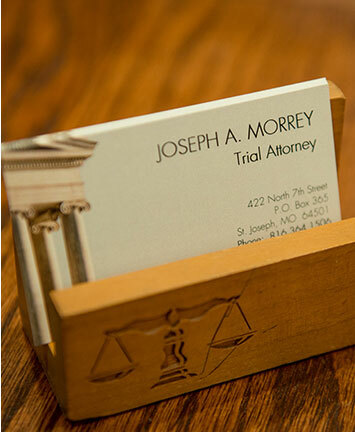 At the Law Offices of Joseph A. Morrey, we have the answers you need. Joe is an experienced lawyer who assists people who have been injured due to the negligence of other drivers. Should I discuss the accident with the other party's insurance company? It is very important that you do not accept responsibility in the accident. This could hurt your chances of making a case against the other party if they were to blame for the accident. If you are injured in an accident, you should seek any medical attention you need as soon as possible after the accident. This may include riding in an ambulance to the emergency room, seeing your regular doctor, seeking help at an urgent care clinic, seeing a chiropractor. Basically, if you are injured, you need to seek whatever medical attention you need. Then follow-up with your doctor or care team as advised. When you have an accident, you should call the police to come to the scene. Neither party should leave the scene of the accident. It is illegal to leave the scene and may result in a traffic violation. The police will take statements from each driver and file the police report. This can be a crucial piece of evidence to prove liability for the accident later on. How does negligence work in Missouri? Missouri is a comparative negligence state. This means that a percentage of fault may be placed on each party to an accident. You will be able to make a claim against the other party and their insurance company for the proportion of fault that can be placed on the other party. So, it is critical that you do not accept or discuss responsibility for the accident with the other party. Attorney Joseph Morrey has helped people recover substantial damages in Missouri injury cases. He can offer you experienced the guidance you need through your serious injury case. He is compassionate with clients and aggressive with insurance companies. Reach out to his office in Saint Joseph by calling 816-364-1506 or email him to schedule a free consultation.